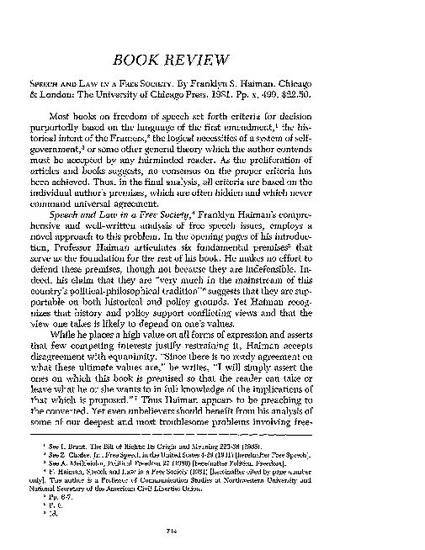 Review of Speech and Law in a Free Society by Franklyn S. Haiman. Chicago, University of Chicago Press, 1981. 58 New York University Law Review 714 (1983).